Throughout the years: lots of line-up changes, along with musical adaptations, yet still focussing on primal Doom Metal, the traditional way. And still, after two decades of existence: Doom from the womb, collecting the primal sounds of Candlemass, Solitude Aeternus, Trouble and Revelation, and a subtle hint of Pentagram and Black Sabbath to finish the whole. This time, however, the average quality isn’t but average indeed. Average does not mean ‘bad’, yet not ‘waw’ either. 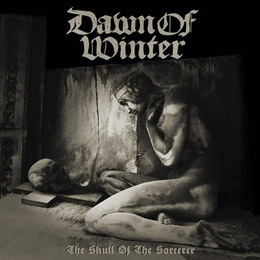 The four-track mini-LP The Skull Of The sorcerer consists of four tracks that breathe the initial, and wonderful, primal Doom-spirit of the Core, but haven’t I been able to listen to tens of comparable recordings lately, including more than a handful of releases that are at least twice as interesting?